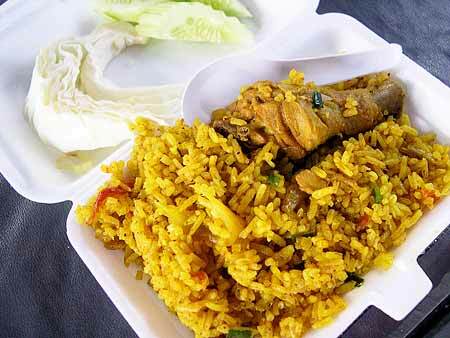 Muslim Yellow Chicken Rice (Kao Mok Gkai) is popular all over the South. We've also had it made with goat. The bright yellow color comes from turmeric. It's often sold on the streets and packaged "to go", as above. Kasma teaches how to make this recipe in Series Set D (class 2).